Antique wooden floors of great art quality, original and stylish. 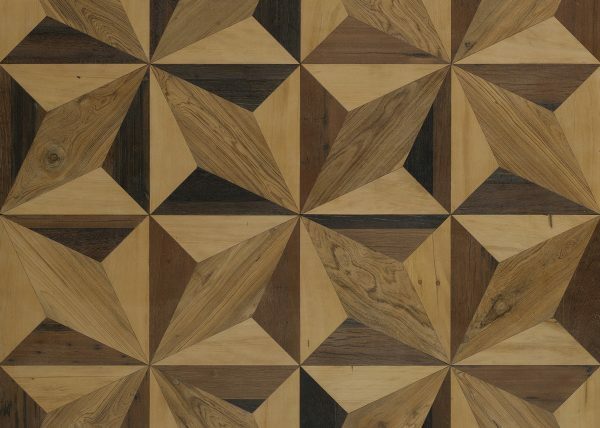 Antique wooden floors crafted with care and precision: inlays, tiles, floorboards, herringbone patterns and many fine and precious antique woods like antique teak, antique rosewood, antique durmast, antique maple, antique acacia, iron wood. Furthermore we deal inlays made of bone and horn, brass and copper, marble and other precious materials, perfectly combined with antique woods. Stone floors with natural split carving. 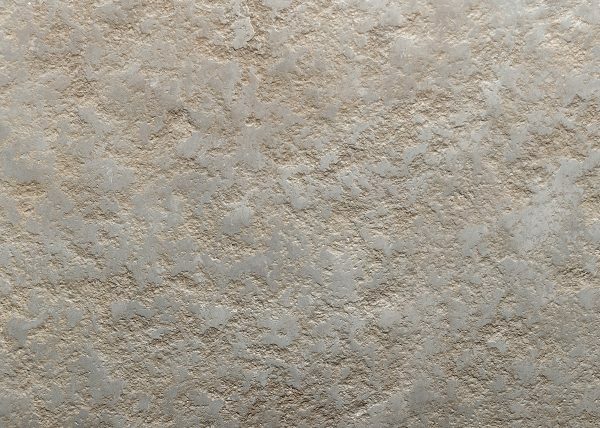 Siltstone flooring, carved withnatural split on faces and edges, colours may vary from light yellow to green-gray. Suitable for both indoor and outdoor use. Various sizes. 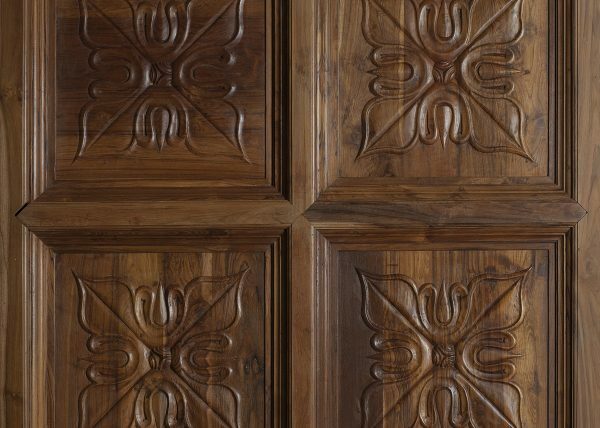 Hand sculpted wooden doors fro indoor use. 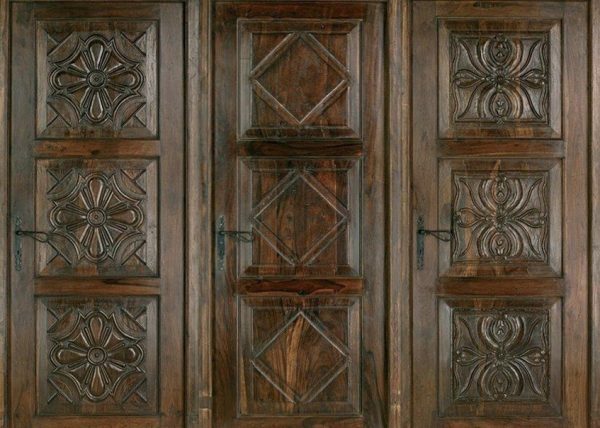 All the doors on the catalogue are made of massif walnut daniela wood, hand sculpted on both sides by skilled local artisans. The doors all have the following size: Door opening: 210x80x4 cm With frame: 215x89x10 cm Available on design. Handcrafted coffered ceilings made of antique teak and antique maple. Coffered ceilings in many antique woods of high quality and design, handmade by craftsmen: drawings and embossings precisely executed. original finishes. available in various sizes and types. For further informations contact us. Antique restoration materials for indoor and outdoor use. 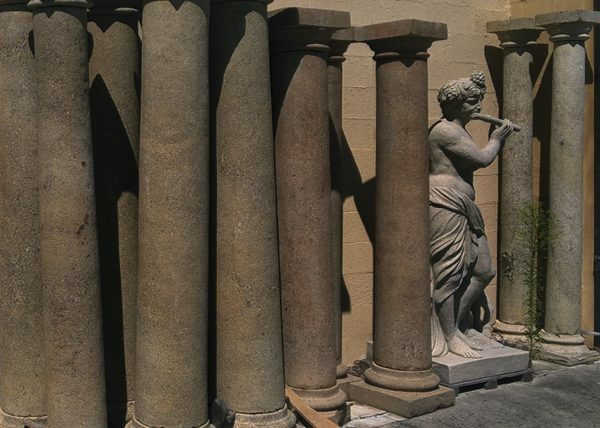 Many materials, from bricks to columns, from decorative objects to stone and clay, from wooden finitures to iron components: all that is needed to restore ancient and modern houses with prestige. Many elements in various sizes and dimensions available.